If 2007 was the Year of The Rookie, this season is in danger of turning into the Year of the Bursting Bubble. Probably the only rookies from last year who continue to deliver according to expectations are Kovalainen and Kubica. Hamilton suddenly looks fragile, Sutil is finding it hard to beat his aging team mate and Vettel is being out-raced by Bourdais (face it - it's true). This year's crop looks no better. Glock is not threatening Trulli at Toyota, Piquet looks very ordinary in comparison to Alonso at Renault. And my boy, Nakajima, has still to transfer his testing speed into the races. It looks as though team owners would still be best advised to prefer experience over reputation from other formulae. It is interesting that both emerging rookies from last year, Heikki and Robert, had slow starts to their F1 careers and had to go through a learning experience before showing their true potential. Those who looked impressive from the start, Hamilton, Vettel and Sutil, are struggling now. It is tempting to draw the conclusion that adversity is the best teacher and one whose classes cannot be cut if a driver is really to make the grade in F1. Throughout 2007, the quibble about Hamilton's spectacular debut was that we wanted to see how he fared when things did not go so well; and now we have our wish. It remains to be seen whether he can persevere through his present ill fortune to continue as McLaren's prime hope for the championship. 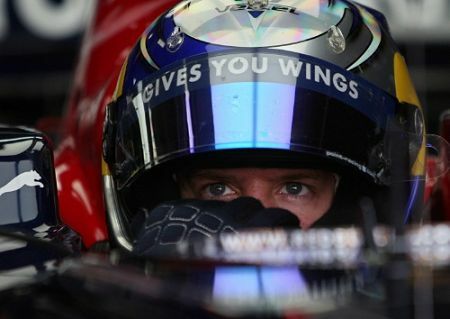 Both Vettel and Sutil have the problem that they were over-hyped on their entry to the formula. Adrian caused this himself by beating one team mate after the other, but perhaps we should have been more aware of the dubious quality of those team mates before getting excited. Fisichella is giving him a more realistic bench mark to aim at and he is having difficulty in reaching it. Vettel, of course, arrived with an impossible reputation. A couple of wet races seemed to indicate the truth of such vast expectations, although nobody wanted to hear that Liuzzi was actually quicker in both races, thereby proving that it was the car that suddenly came good, not Vettel. It is no surprise to me, therefore, that Bourdais has raced better for STR, in spite of his poor qualifying form. Once Bourdais has learned the trick of getting a good grid position, I think he will show young Vettel a clean pair of heels. Not that being beaten by the Frenchman would do anything to dent Vettel's reputation, of course. He continues to be regarded as the hottest property in F1 and is suggested for all manner of better drives for the future. I just wonder how long it will take the pundits to admit that his bubble has already burst and that he really is not the new Schumacher. That may have a lot to do with this phenomenon of the disappointing rookies, in fact. Support for F1 in Germany is dwindling now that Mickey has gone and the sport is desperate for a replacement. It may be no coincidence that the rookies who were hyped the most have turned out to be the biggest disappointments; Vettel, Sutil and Glock are all German. It is foolish, of course. Superior drivers are rare and it is not often that one country gets two on the trot - just ask Brazilians how long they have been waiting for the next Senna. Right at this moment it looks as if the two drivers most likely to join the elite come from Britain and Finland - and so Germany must look to Vettel and forgive his every mistake or failure to perform. For my money, it seems that the bubble has already burst. Reality has set in and it is back to experience and results when searching for a replacement for the old has-been you hired last season or the rookie who broke everything you gave to him. F1 has always been an unforgiving master. I'm Scottish and for 35 years I have been waiting for the next Jackie Stewart. The trouble is while some drivers are over-hyped others never get the break. Guys like Mike Thackwell who delivered year after year in F2 and never got any kind of decent break in F1. Honda thought so much of him in F2 that he ended up with his own plane. People comment on how much money Irvine made by the time he arrived in F1 but he made it playing the markets. Thackwell made it as a result of his driving. Unfortunately there are a few Scottish drivers who may have made it but for circumstances. Gerry Birrell had a huge reputation in F2 and saloon cars and was rumoured to be moving into JYS's seat at Tyrrell for 1974 but was killed in 1973. Johnny Dumfries won the British F3 championship and was very highly rated but managed only one season in F1 as number 2 at Lotus to the emerging Senna. As Jackie Stewart knew the number two seat at Lotus was not the most desirable seat for anyone with serious ambitions and the number two to Senna was never going to look good. David Leslie who died recently had an incredible reputation in the lower formulae but could never get the budget to challenge in F3. And then there is Allan McNish who for my money was the best Scottish driver since Stewart. The Germans might have a long wait although Schumacher junior could make it in 10 years time but since he has only done two races it may be a little early to hype him. Well, I'm Brazilian, so I think I can give you some insight (pun intended). We Brazilians were very very lucky to have 3 great drivers almost one after another - Fittipaldi, Piquet and Senna. After Senna's death, all expectations went to Barrichello, and some say that this pressure to become the 'next Senna' wrecked his F1 career. The pressure was so strong that during some time he really believed that it was true, that he was meant to be the 'next Senna'. I think that after his departure from Ferrari to Honda he managed to understand that he accomplished a lot in F1, that he was a good driver. Not a great driver, not one of the best of all time, but one that in a inspired day was able to be faster than Schumacher for example. And this is something to celebrate, no matter what. So you've written off Vettel, I won't. But I really have a lot of respect to his team mate, huh.. isn't he a rookie now in F1 though? Steven: The Scots have a tall order to fill in JYS and Jim Clark - they were outstanding, even among the elite. It may be some time yet before we see anyone like them and matters are not helped when potential stars do not get the breaks along the way, as you mention. It is still a proud list of heroes for such a small nation to boast, however. Felipe: I think you're quite right that huge expectations were heaped on Barrichello's shoulders as a result of Senna's death. And Massa, too, has to be aware of the pressure to emulate his great countryman. Yet Senna was probably the greatest driver we have ever seen - and it might be a long time before another comes along, Brazilian or otherwise. The Germans have a similar wait ahead of them, I think. Not only was Schumacher a good driver, he was also a very capable politician and could weld a team behind him like no other. Arun: Yes, I've written off Vettel - I had high hopes of him but he has been little but a disappointment. And the fact that he is not assessed realistically by his fans (only today I saw a report on his 2008 performance describing it as impressive - three DNFs in a row!) does not help him, I think. He needs to know that he is not meeting expectations, rather than be encouraged to believe his own hype. How else can he learn to try harder? Technically, his team mate is a rookie to F1, yes. I did include him in my list of rookies for this year but the post is really looking at the rookies of 2007, assessing their progress so far. Bourdais will do well, I think, and I will certainly give him this season before deciding whether he is all he is rumoured to be. I've said it before other places, but I truly am convinced that the piece that is missing from Lewis Hamilton's CV is some gritty experience driving a really crap car. I believe that experience hones skills that aren't developed in a really good car like the McLaren was last year. And, as I don't follow the lead-in series, I can only repeat what I've heard elsewhere...Lewis has been driving a top car for quite some time. He has passing experience through the field from GP2...but only in a really good car with a pretty significant speed differential...and his moves through the field last year were, again, in a good car. What happened in Bahrain was with a car that had lost the edge and he didn't have the skills to really make it work. It's not that I don't think he can learn either, it's just that I think his sophomore year is a really bad time to have to do it. We American's have longed for the next 'Mario' in F1 for too long now. Andretti waited too long to go for the F1 title. There were others who could have won a F1 title if they concentrated on that feat. Dan Gurney, AJ Foyt, Mark Donahue, Parnelli Jones all took great pleasure in racing anything with wheels. I see no crime in that passion. To be a racer is to be a winner on any given Sunday. In whatever you strap yourself into. Nowadays, I think one must concentrate on F1, just to keep up. The days of Jim Clark, for example, racing in the Indy 500 are sadly gone forever. GP2 cars all have the same chassis, engine and tyres. Everything possible is controlled to keep the performance of all the cars equal. As in any formula the top teams know how to set the cars up better and the top drivers and teams will always have an advantage but in reality the difference between the best and worst car is minimal that is why people like me find it incredible that any driver could gain 20 places in one race as Lewis did in Turkey. It simply shouldn't be possible in a wings and slicks spec formula. Ahh, this is why...a) you should at least understand the lead-in series, if not follow them, and b) newbies should limit their comments : ). Little for me to add, really, except to point out that Dan Gurney did devote several years to F1, including building and driving his own cars under the Eagle name. Like Amon, Dan was not the luckiest driver around but, had the chips fallen differently, could easily have been a WDC. In fact, I consider him to have been the best American driver we've seen in F1, beating Mario by a considerable margin. Mario had the good sense to stick with the best designer of the day and it paid off eventually. The difference between Sebastien Bourdais and his fellow rookies and near-rookies (Nakajima aside) is that he's raced equipment outside the European single-seater junior series treadmill. Perhaps IRL wasn't the world's most competitive series, but Sebastien had to get used to not winning every race (even if he won most of the championships!) and to the different handling characteristics of American cars. Maybe potential F1 racers, instead of being encouraged to stick to F1 "to keep up", should be encouraged to race a wide variety of machinery to improve their skills. Then they might just be ready for F1 when they are ready. It also shows that maybe IRL was a more reliable indicator of talent than has been assumed for a while. Andrea de Cesaris was the master, the king of crashes, perhaps the fastest man ever to take his car directly to the next accident! I doubt his record will ever be beaten. But he was also very brave and worthy of our respect, I think. Few have been so out of their depth in F1 and yet continued for so many years. He scared himself far more than he scared us. Bourdais is one of the most interesting drivers in the sport at the moment; much hinges on how well he does. If he can continue to improve in qualifying, thereby giving himself a decent chance in the race, he could re-awaken F1 interest in drivers from the American open wheel series. I hope he does well. deCesaris was almost entirely responsible for the acceptance of carbonfibre chassis in F1. The early reputation of carbon fibre was that it was great in its first impact but if it had to sustain a second impact it crumbled. deCesaris drove for McLaren in its first season with carbon fibre chassis and had 18 major car damaging crashes in 16 races and walked away from all of them. By the middle of the season the people who wanted to retain aluminium honeycomb knew that there was no way they could argue carbon fibre was unsafe as they knew de Cesaris could not have walked away from some of those accidents in their cars. If you are wondering why Ron Dennis kept a car wrecking driver for the full season the answer is simple. Marlboro signed the cheques and deCesaris's father was the biggest cigarette distributor in Italy. So paying for a few extra F1 cars was worth the investment. But not for a second year. I am a great believer in saying what I think even if I am not totally clued up on a subject. I have learned a lot over the years by expressing an opinion that was immediately shot down by someone who was better informed. Besides Clive would be very lonely if the only people who commented knew as much as he does. Sebastien Bordais raced in the Champ Car series, not IRL...although they are combined this year. Champ Car was an open wheel road course series...IRL was an open wheel, primarily oval course series--I think two road courses. It is presumed now that they are merged there will be a better balance between road and oval courses...and I will consider watching more than the Indy 500...although not a fan of the oval, it's an American tradition. I'm not convinced that Hamilton has been disappointing this year. He has had one bad race - at Bahrain. He got unlucky at Malaysia, and he won convincingly in Australia. Too early to make a call on Vettel too. To say Bourdais has superior race pace isn't really all that convincing given that Vettel has only made it round the first lap on one occasion. Better to say that the relative race pace of Vettel and Bourdais remains unknown. Sutil has been rather disappointing though. Does suggest that he was made to look better than he really was by some second rate team mates. Fisichella's pretty good at reputation destruction really. Outpaced Massa, Sato, Button, Wurz and pretty well everyone he's ever raced against except Alonso (and on balance, Kovalainen). As for Sutil, it's true that he's up against one of the great reputation-destroyers. Can't help but feel that Hamilton (for instance) in Sutil's position would have seized the opportunity with both hands. Vijay Mallya is being commendably loyal to Adrian in his public statements, admitting that many of his driver's problems stem from mistakes by the team. But who will bet against Liuzzi being given a race or two if he puts in a few fast laps in testing? Sutil's race pace is almost as unknown as Vettel's, since apart from Bahrain (where he was stuck in a first-corner collision), he's only done 16 laps all season. I think the reason he looks disappointing is more due to Fisi being underrated prior to arriving at Force India rather than Sutil being overrated. Though it does indicate that as yardsticks, Albers and Yamamoto weren't much good! Have to admit that you're right about Liuzzi, Alianora - he has been pretty disappointing in testing so far. That may have something to do with not knowing the car so well but, with Fisi coping expertly, Liuzzi must improve quickly. That's four DNFs for Vettel. It turns out I've got my stats muddled - de Cesaris did in fact finish two races in 1987 (and one of them - the Belgian GP - was a podium, so you'd have thought I'd have noticed). The most races de Cesaris started but failed to finish in a row was 12 (Monaco 1987 to Japan 1987) so Vettel could match the record as early as Hockenheim.